The Development Committee's expressed goal is to find problems across campus and fix them. We started with common spaces, because this was the number one complaint in the student survey over the past couple years. After some time planning and getting organized, we embarked on prioritizing common rooms and moving forward on renovation. We finished our first room, the Sebastian 3rd floor Movie Room, at the end of the fall semester and this propelled us to move forward. It was important for us to buy commercial grade couches, loveseats, and armchairs, as well as durable wood or metal tables and chairs. 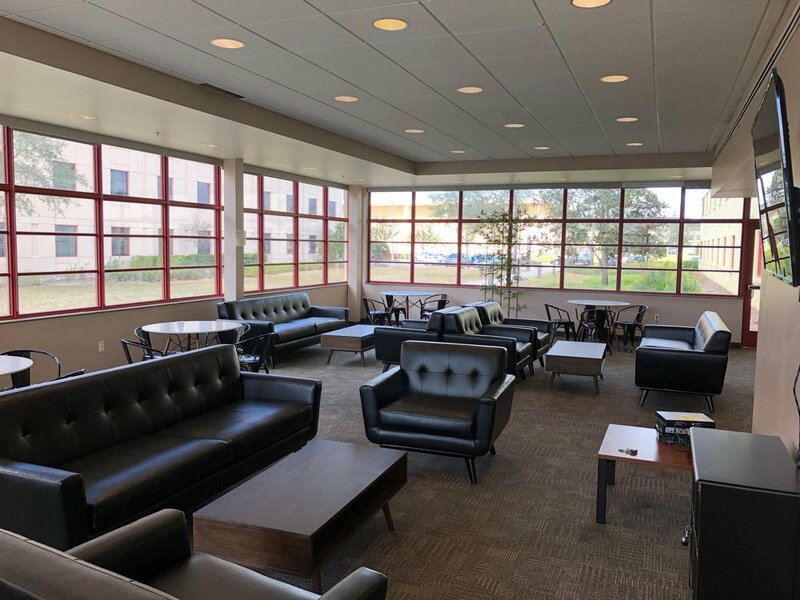 By the end of this year, we will have improved 16 common spaces, and this has been one of the most noticeable changes on campus. We also honed in on new Smart TVs, as they were inexpensive, easy to mount, and high-quality. We passed a streaming services bill for Netflix, Amazon, and Hulu with Live TV, so students have quick and easy access to their favorite content. A uniquely-SGA note: Sec. 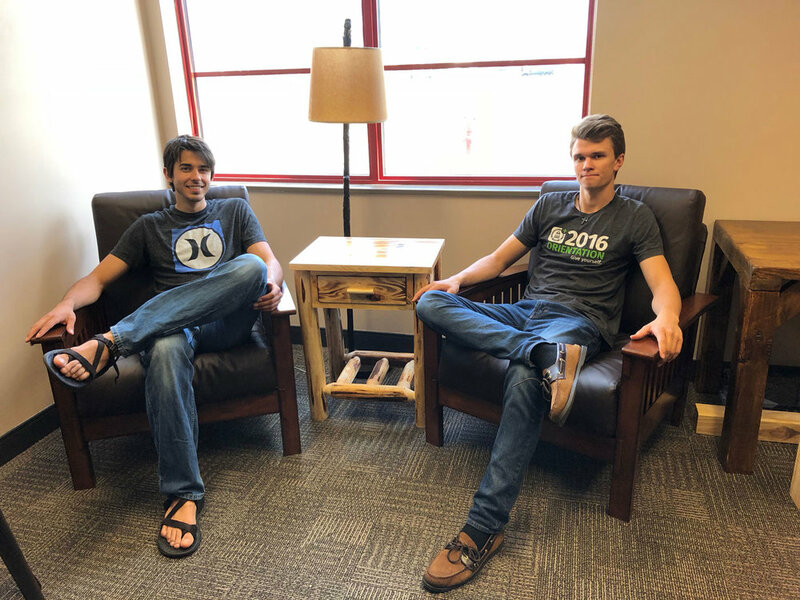 Andrew Eads and Rep. Isaac Weltens personally constructed 4 tables for various spaces. 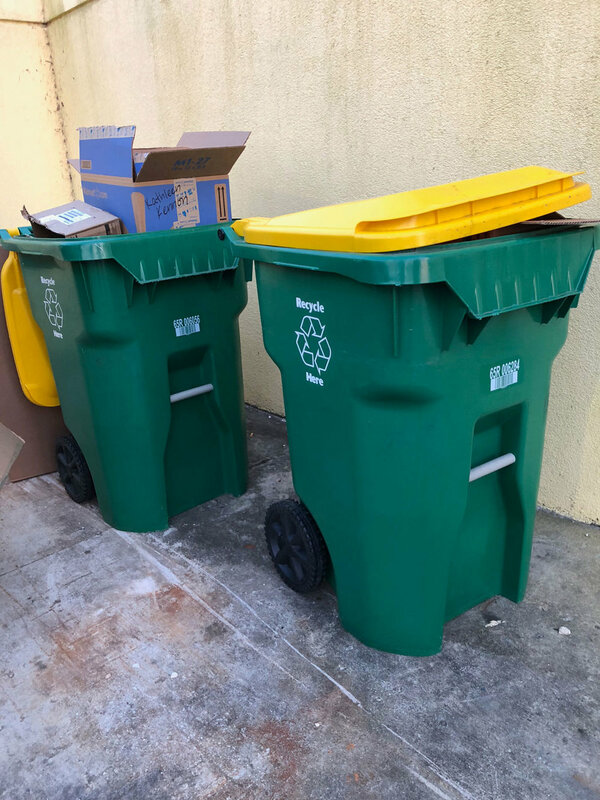 AveBlue, our sustainability initiative, introduced a new recycling program, and we hope it expands in the coming years. Most of the furniture we replaced in common spaces came in recyclable packaging. Overnight, SGA became the biggest user of our new recycling initiative. In addition, most of the modular furniture we replaced is scheduled to be donated to Goodwill (about 50 pieces). We installed water bottle fillers in Goretti, Sebastian, and Joseph, and we hope to get more installed this summer in the Megadorm. These have helped to reduce waste and save money. According to the meters on the fountains, we've saved 17,316 plastic bottles from the landfill so far. I believe the work of this year's committee provides a tangible legacy. Our diligence has transformed many spaces on campus, and we’re proud of the results of the process we created. In total, we've spent approximately $50,000 on renovations for common spaces. We're proud of these improvements, and we can't wait to see what comes next.